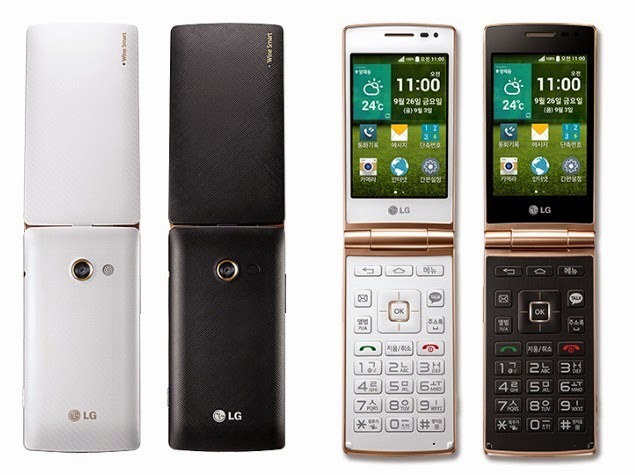 LG releases its first ever Android-powered clamshell phone in Korea. Dubbed as the LG Wine Smart, the handset is intended for the entry-level market; and most especially for the elderly and handicapped users. The flip phone come with 1.2-gigahertz quad-core CPU coupled with a gigabyte of RAM. The display comes in at 3.5-inch with True IPS tech from the Korean outfit. The screen will have an HVGA display that sums up to 480 x 320 pixel resolution at 165 ppi density. Camera-wise, you’ll have the 8-megapixel and VGA combo. The device is LTE and HSPA+ capable so there’s no wonder that it’ll take advantage of Korea’s super-fast LTE network. The device is available in both Black and white hues.